John Davies was born in Sedgefield, Co Durham and studied at Trent Polytechnic in Nottingham. In 1992 he was made a fellow of the Royal Photographic Society. After graduating in 1974, he spent six years photographing the rural and isolated landscapes of the British Isles. 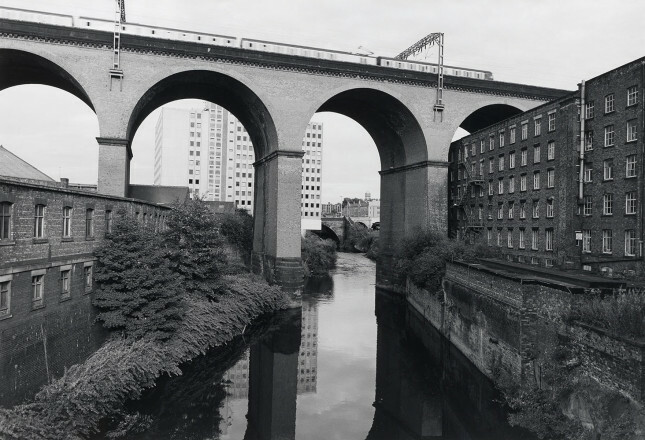 In 1981, after winning a one year Photographic Fellowship at Sheffield Polytechnic, he became increasingly interested in trying to understand how the urban, rather than the rural, landscape evolved. 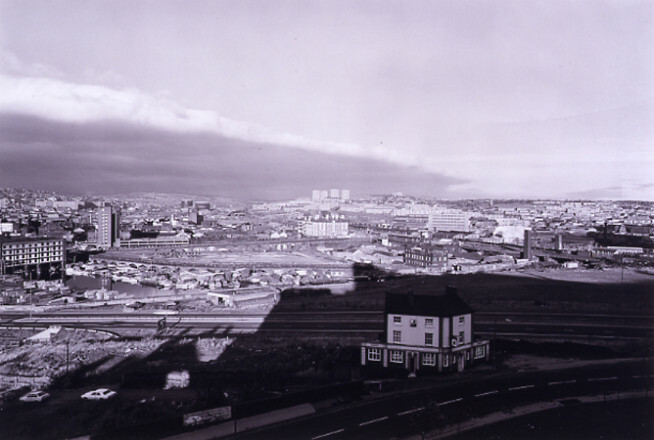 Photographing the Northern English town of Sheffield, he began to document not only the topography of the city, but also its archaeology. 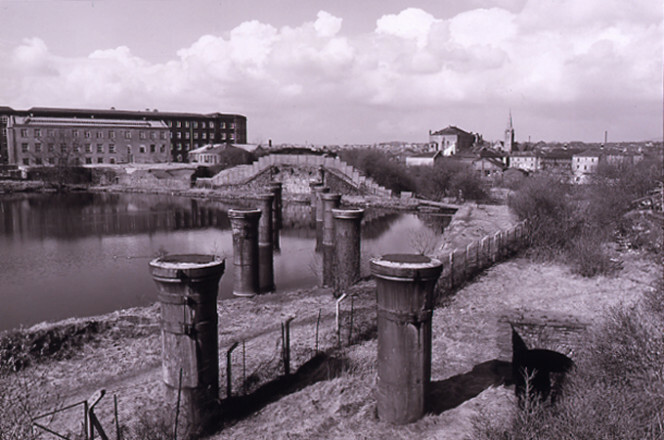 In the following years, he focused on the role of the great 19th Century industries (cotton, steel, coal) played in shaping the physical environment of the north of England. In a manner not unlike the painter J M W Turner, who chose a steam train to represented 19th Century progress, the industrial structures Davies selected became functional symbols of social and capital growth. 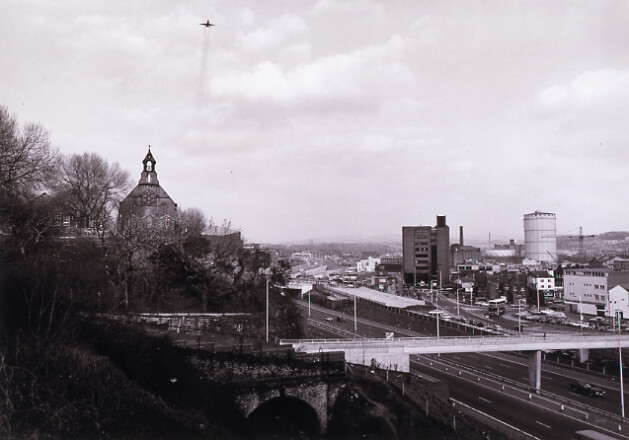 The exploration of the mutual relationship between social and industrial history was amongst Davies’ concerns, but it was never casually undertaken, rather always preceded by detailed research of the site and in his choice of high vantage points, which concentrate attention on the relationship between the sky and the earth, void and mass. Black and white, Davies’ sweeping panoramas echo the formal symmetry of Dutch 17th century landscape painting. The term ‘Documentary’ was not coined until the 1920s, and then used by the British film-maker, John Grierson, to refer to moving pictures. It has a long and continuous history in British photography, reaching back to the invention of the medium. Many critics claimed that the documentary impulse, which can perhaps be best defined as the systematic recording of visual reality for the purpose of providing information and encouraging understanding of the world, is inherent in the medium itself. It was this view which came to be known as the realist paradigm - the belief that a photograph represents a ‘slice of reality’ easily understood by the viewer. This belief governed understanding of photography from the moment of its invention in the era of positivism in the 19th Century, until it was itself subject to interrogation in the 1980s. Early British practitioners included John Thomson whose visual essay Street Life in London (1876) documented the life of the London poor, and Hill and Adamson who portrayed, in the mid 1840s, the customs and way of life of the fisher folk of Newhaven near Edinburgh. In the early 20th century, following the emergence of documentary film-making and Mass Observation (a study undertaken in the North of England by the anthropologist Tom Harrisson), this new aesthetic found its most persuasive outlet in the mass circulation weekly magazines, such as Picture Post and Life. In time, however, pressure from advertisers combined with the restrictions of group journalism and curtailed the independence of creative photographers, with only exceptional individuals such as Bill Brandt able to survive as both a photojournalist and an independent photographer. His images of Britain’s class-ridden society along with his more experimental nudes, portraits and landscapes had a profound influence on a younger generation and established Brant as a major creative force in the development of modernism in Britain. Mass Observation was designed to emulate the radical achievements of the worker-photography movement which had arisen in Germany during the 1920s. 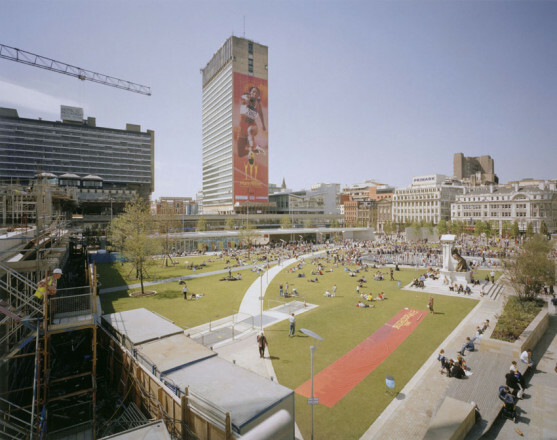 It proved influential on the evolution of British documentary, especially on those photographers associated with the Side Gallery in Newcastle. The gallery fostered a regional, community-oriented form of documentary practice. Its philosophy was rooted firmly in the notion that an authentic document can only be generated by those familiar with the local community. Photographers associated with Side Gallery included Sirkka Konttinen, Isabella Jedrecyck, Graham Smith, Peter Fryer, Chris Killip and Julian Germain. It was, however, across the Atlantic that the more enduring legacy concerning the ethics and status of documentary was to be found in the work of the photographers employed by the Farm Security Administration to document the plight of the American rural poor during the Depression. One of its outstanding photographers was Walker Evans whose use of signs and symbols (such as billboards and advertising hoardings) as images of desire created a text or narrative to accompany the careful sequencing of images. The direct inheritors of the photograph as social sign were the American photographers of the ‘social landscape’, namely Lee Friedlander, Garry Winogrand and Diane Arbus whose unsympathetic vision of the American landscape reflected the anxieties of urban life during the booming consumer decade - store fronts, billboards, graffiti and advertising. They chose to portray people, situations and artefacts in a casual and objective way that allowed the viewer to interpret the work freely; a strategy that became known as the ‘snapshot aesthetic’. One of those who experienced many of these developments first hand was the British photographer Tony Ray-Jones. His work was widely reproduced in the 1960s and his book A Day Off (1974) proved a particular inspiration for the generation of documentary photographers who developed in the late 1970s and early 1980s.